The Pitmen appeared for the U21 League game against Chornomorets with the same starting line-up as they did in the most recent game vs Olimpik, in which the Donetsk team claimed a 1-0 win. 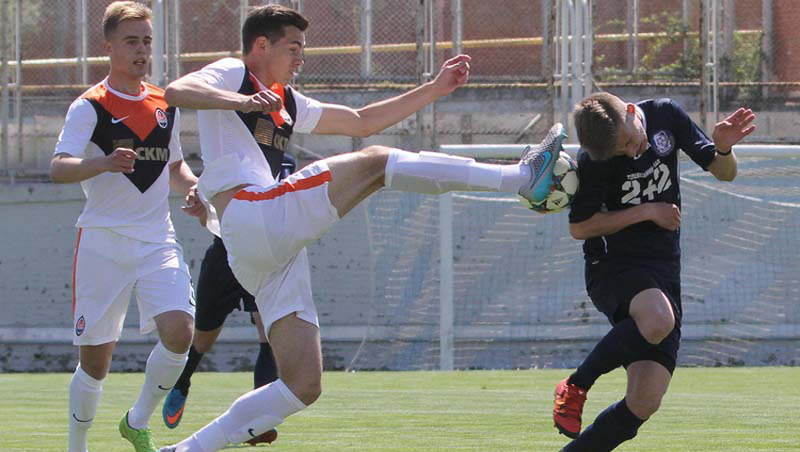 Shakhtar got off to a flying start, and on 5 minutes Oleksandr Zubkov struck on goal for the first time, although Odessans immediately responded with a dangerous move. In the first half, Shakhtar attacking performance was hindered by the headwind, with Georgi Arabidze being brought down on the edge of the box, stepping up himself to fire a stunning volley past the wall into the top corner. But it took the odesa side just over a minute to equalize after Varenik was brought through on goal to make it 1-1. The game saw Shakhtar enjoycertain advantage. Andriy Boryachuk had two great chances, with the host goalkeeper clearing a close-range effort with his feet, with the forward hitting the outside of the net after a corner. After the break, Donetsk found it easier since they played down wind. On 54 minutes, Zubkov put Boryachuk through on goal, who, without approaching the goalkeeper, rolled the ball into the bottom corner to make it 1-2. It is the U21 top scorer’s 20th goal. 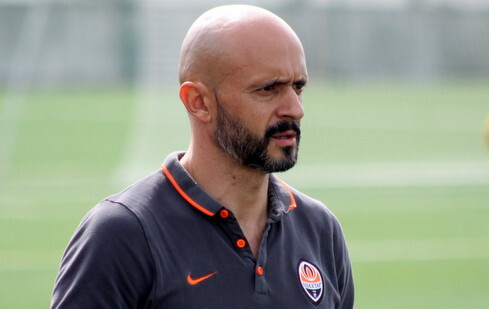 Shortly afterwards, Shakhtar goalkeeper Yevhen Grytsenko twice saved his team after parrying away two strikes in a row. However, Shakhtar build on their success in the 64th minute. Artem Ivanov struck from outside the penalty area, with the ball dropping down behind Odesa goalkeeper after taking deflection off a defender to make it 1-3. A strong rounding effort by Arabidze was good, but it went just over the bar. The Odessans did not give up and tried to put pressure on Shakhtar defence, whi got some operating room ahead. And on 84 minutes, Zubkov ensured a chance for the sub playerIhor Kiryukhantsev, who just got off the bench and hit the near corner – 1-4. After this victory, Miguel Cardoso’s team have advanced to the top spot in the standings. With the reserve team of Dynamo being three points adrift, they will play their game on Saturday. While on April 30, Shakhtar will be entertaining the Kyiv side. - First of all I want to congratulate the boys on the spirit that they showed on the field today as well as throughout the season! The players understand what kind of message we have been communicating to them, fighting in every match for practical results. That’s also a signal for the development, and it is obvious that they are trying their hardest, wanting to achieve their individual goals either. We had a tough encounter with Chornomorets, since we scored one and conceded one straight away which made our operation somewhat inconsistent. At half time, we told the boys that if we continued to work to achieve the result, just like we did in the first half using spaces (that’s exactly what we were practising in training sessions for a week), we would score more goals. And the team did it.